Over the course of the week preceding Labor Day and including Labor Day weekend, we took a twelve-hour train ride AND a nine hour car ride with our Lil' Miss in tow. She's a pretty good travel companion and snacks and drinks certainly go a long way to placate an antsy two and a half year old. We brought along our new No-Spill™ Insulated CoolSipper along for the ride and it did not disappoint. -First off, I LOVE how there is a spot right on the cup to label it! This is perfect for preschool, daycare, etc.! 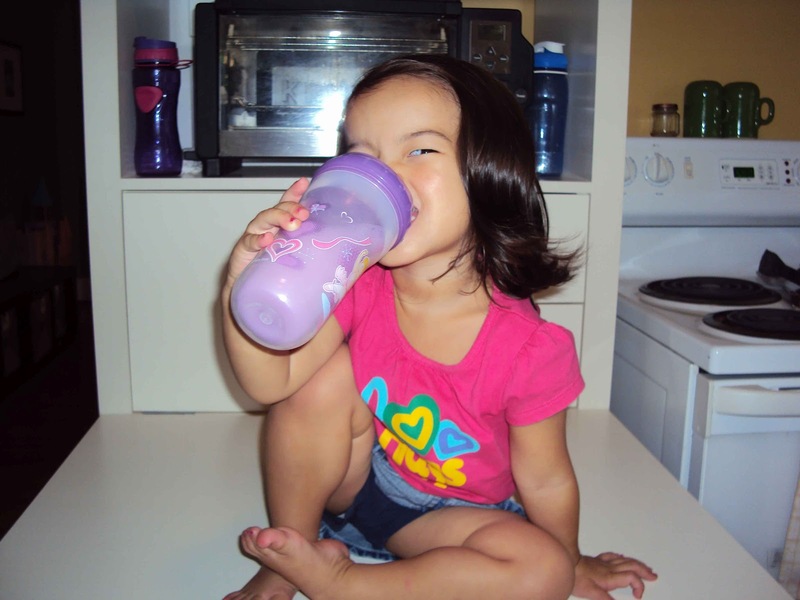 -The No-Spill™ Insulated CoolSipper comes in fun designs and patterns- we happen to have the ballerina pattern. -The soft silicone spout is easy enough for Lil' Miss to manage, yet still manages to prevent leaks (most of the time). -Nice, generous nine ounce size is the perfect amount of liquid for busy toddlers. -One thing about the No-Spill™ Insulated CoolSipper is that because of the way the silicone rim integrates into the lid, curious little hands can (and do!) manage to pop it out. By doing this, leaks and spillage abound! If there was a way to prevent the silicone rim to become disengaged from the top, then the cup would truly be spill-proof. -The directions that came with the cup recommend hand washing the cup. Now, if you are a busy mama like me, "dishwasher safe" is always preferable! !